Spring is here! It's so exciting to finally see the grass greening up. The birds have been enthusiastically chirping for a couple of weeks, but it was really only in the last week that I feel like it's actually the turn of a season. The garter snakes have been out sunning themselves, you can hear the frogs, and the coyotes' call has changed. And I swear we could SEE the trees sprout their leaves last week. A week ago Saturday was the annual ditch cleanup with the Knights of Columbus group, and I'm sure that I saw the world spring to life during the morning of walking along the highway. I'm happy, can you tell? Jim and I went for a walk the other night, down to the south pasture. We came upon a couple of coyotes, who weren't at all bothered by our presence but wanted to have a little visit with our dog Sasha. We watched as our sweet Lab/Pyrenees calmly sat about 20 feet from the two coyotes, everyone just observing. One of the wild ones wanted to talk, and did - very vocally - for almost an hour! It yipped and woofed, and Sasha listened, tongue hanging out, undisturbed. At one point, the coyote must have said something insulting, because Sasha leaped to her feet and growled. Barking, she ran at the coyote, and then ran back. The conversation continued for a while, and eventually the sun went down and we all went our separate ways. It was really kind of surreal. I love living where I do, and I'm always Instagramming with the hashtag #ilovemycountrylife. I want to promote the lifestyle that is so dear to my heart. Part of our back to basics lifestyle is making our own bread. Since last Fall, we've only bought bread a couple of times. And for the most part, it's been Jim making it! Like true homesteading geeks, we calculated that baking our own bread from scratch saves our family $1063.68 per year. We buy the wheat from my parents' organic farm by the 50lb sack. On baking day, Jim grinds it in our Whispermill and bakes with the fresh flour. Using the live whole grain in its entirety is much healthier than using the inert and processed flour from the store. Even whole wheat flour from the grocery store isn't whole - they've had to remove the wheat germ, which quickly goes rancid when left on the shelf. They've also pulled out some of the fibre, making the flour easier to work with (bread lofts better without as much of the fibrous outer husk of the wheat). Cool perspective and information in this article. When we want to make 100% whole wheat bread, we know the loaf is going to be much more dense without either the addition of white flour or the removal of some of the bran. A fine sieve or flour sifter work very nicely for pulling out the bran, though! This last baking day I had several cups of bran hanging around, so I put it to good use in some awesome Applesauce Bran Muffins. Home made canned applesauce and fresh bran (and fresh flour, too) just made them that much more satisfying. The kids were thrilled, and I was happy to feed everyone something that was so healthy. Try them and please let me know what you think! Optional topping: diced apple tossed with cinnamon (and sugar if you like - I just used cinnamon). Preheat the oven to 375. Stir together dry ingredients and then mix in wet ingredients - don't overmix. Bake in paper lined muffin pans or a silicone muffin tray like this one. You can fill 3/4 full at least, because they won't rise too much. Sprinkle with your apple topping, if using. Bake at 375 for 15-20 min or until a toothpick inserted in the centre comes out clean (or with moist crumbs on it). 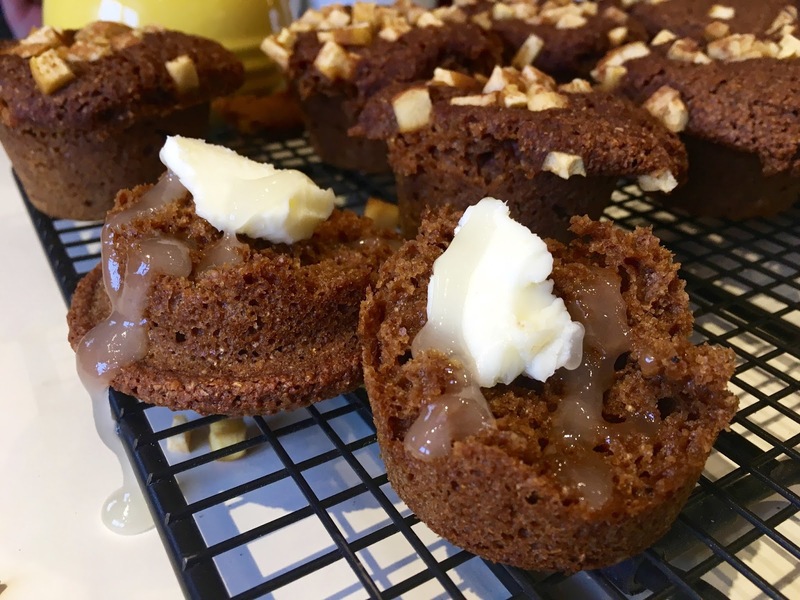 These muffins are amazing served with butter and drizzled with honey. 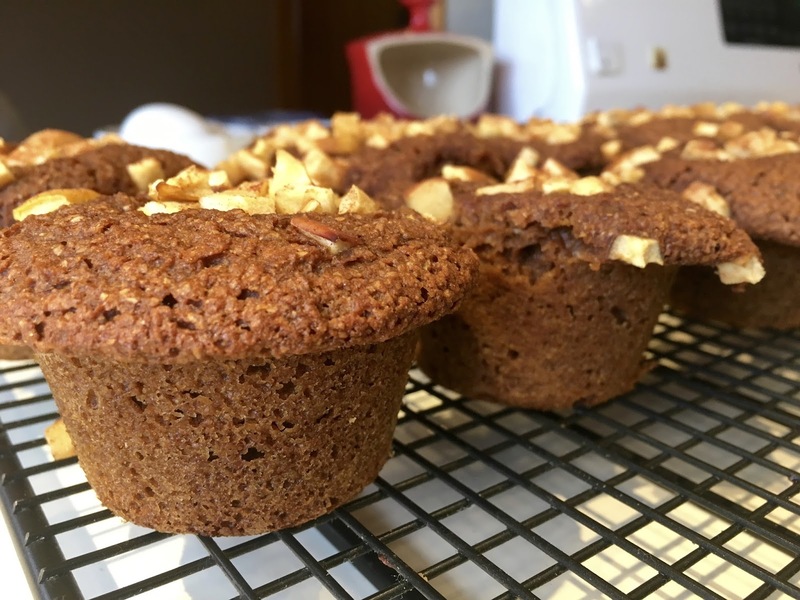 The muffins won't keep that long, especially if you're using fresh flour and bran. If you (by some miracle) have leftovers, it's best to freeze them for later.